Let's hope this effort will be successful. And is the new one proposed to be sited out of the flood plain this time??? Hmmm... love the two-story garage. Banff would be an excellent choice for reconstruction, but I can't imagine the powers that be would allow it to be built in harms way. As site-specific as it may have been, rebuilding it close by, but far enough away to be safe, would be an option worth considering. 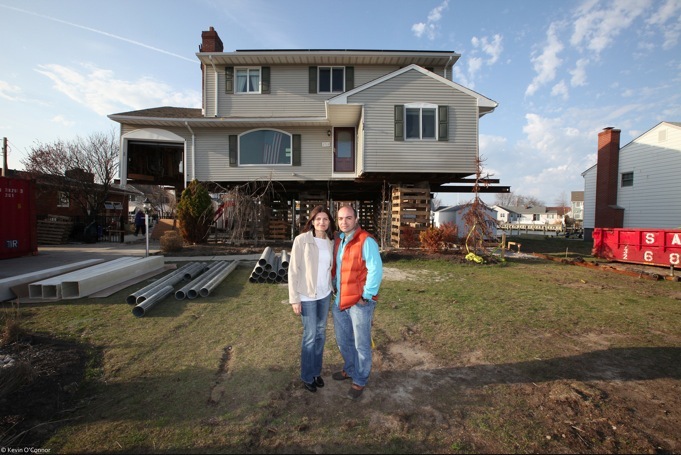 The project in sdr's photo is one of three houses being featured on a This Old House series on hurricane Sandy rebuilding. This particular house is on a canal and got about three feet of water. The existing garage has been converted to a family room with a new garage underneath. I think any governmental unit that looks to Fallingwater's impact on tourism will be in for a huge letdown. They should think more in line with places like the new visitor center in Lakeland, Florida, or the restoration of the hotel in Mason, Iowa - beautiful projects, but slightly off the beaten path. Any Wright building faithfully recreated, especially on its original site, is a plus, as I see it. It seems a shame to obliterate two baseball diamonds apparently occupying the site, however. Buildings are not always and only utilitarian objects; if they were, this site and many others would have no reason to exist, nor would the world's architectural libraries and bookstores. 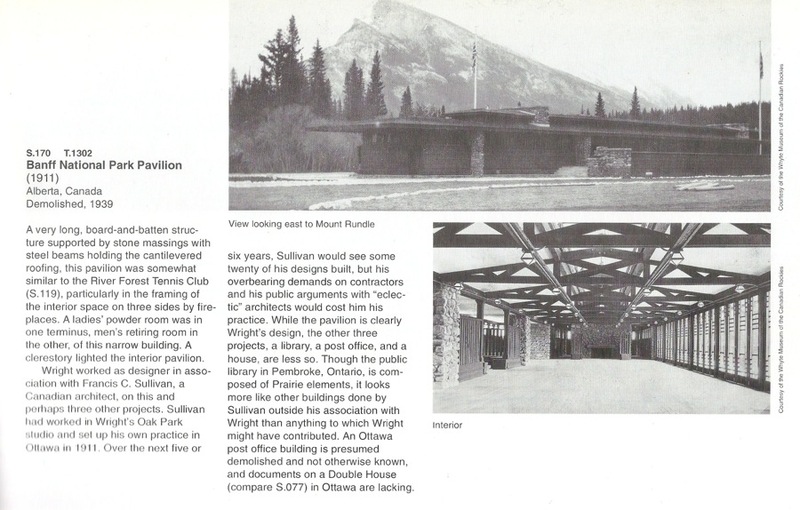 If someone wants to recreate the Banff Pavilion and the funds can be found, I say go for it even if no immediate use for the structure is identified. "If you build it they will come" ? And if not, so what ? An opportunity to relish another Wright structure will have appeared on this beauty-challenged sphere . . .
At the very least the structure represents the Arts & Crafts architectural aesthetic elevated to a lofty plane -- just as the Gamble House does but in a different vocabulary ? Taschen Vol I shows a Banff National Park Railroad Station, 1913 (p 434, and top row, far right, on the Google Images page I linked above, shown without its platform-roof extensions); incomprehensibly, the book omits any mention of the Pavilion. Another way of recreating the Banff building would be to delete all the additions and alterations made to the River Forest Tennis Club, returning it to FLW's original design. The changes did nothing to improve the design. And it wouldn't flood. Good point -- as the two buildings seem to be twins. 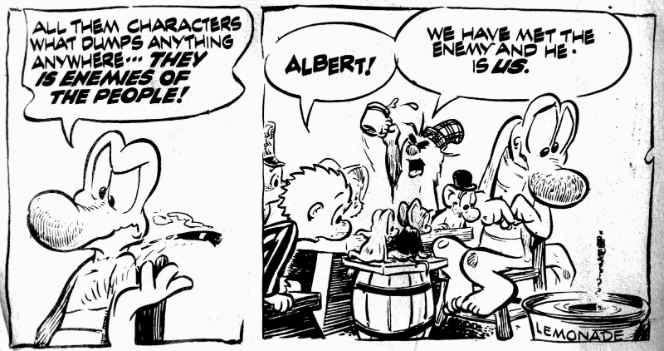 And more visitors would be present, no doubt ! 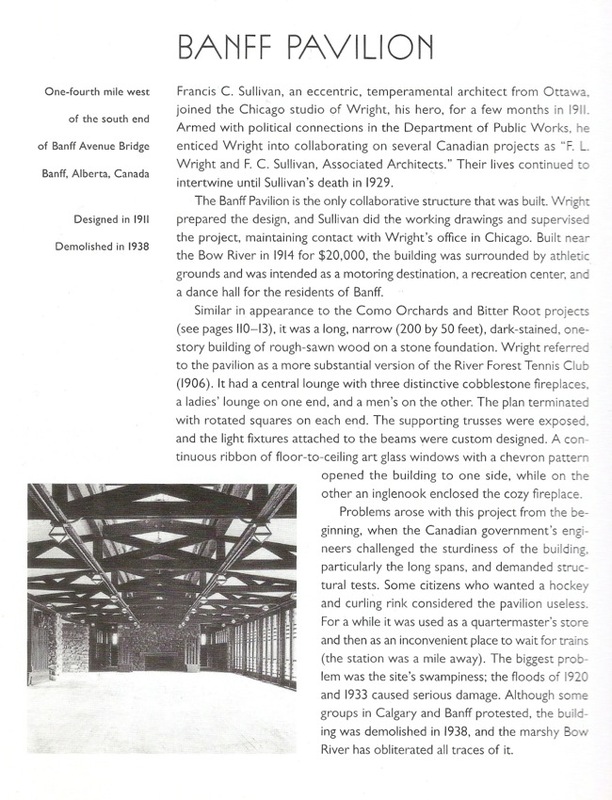 "In practical terms the building will be a gift to the Town from Mr. Michael Miner, of Florida, and a group of Frank Lloyd Wright devotees who propose to restore and/or rebuild a number of Wright�s works that have been damaged or lost due to natural or human causes." Wonder if these "devotees" are all Canadien or are some of them us?